Last few days to order the Flower Power 2015 calendar for the holidays! The calendar is a perfect stocking stuffer idea (well, you need a big sock). It is beautifully printed on thick paper and held together with a spiral wire. Proceeds will benefit the shelters involved in the Flower Power series and support the project. 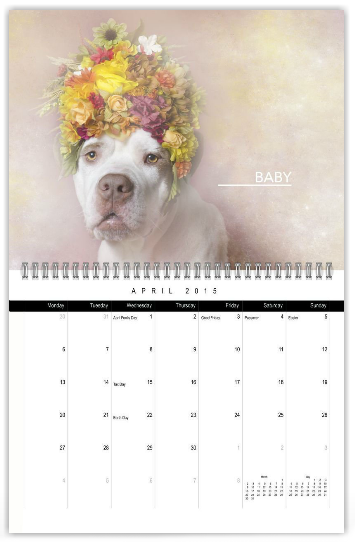 The calendar is $30 + shipping. It ships everywhere in the world. Click here to order your copy!